No longer distracted by the elections and now that the American people have spoken, there are quite a few urgent matters than must be dealt with in the next seven weeks. Ideally, our elected leaders will be able to put aside their differences, leave their whining at home and get down to the business of running this country. There are challenges to meet, problems to address and a nation that needs its faith reaffirmed. 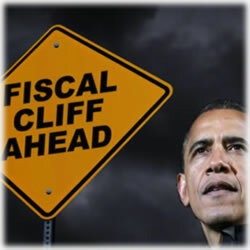 Congress passed and Obama signed into law the 2011 Deficit Control Act. This law cuts slightly more than $100 billion in specific cuts, beginning in January. Here’s the kicker, though, and this is not playing out the way politicians had hoped: the cuts were intended to be so ridiculous that Congress would be forced to find a better solution. Unfortunately, it might not play out that way. The director of the Congressional Budget Office, Douglas Elmendorf, said in August, when all of this was going down, that the cuts in spending, combined with scheduled increases in taxes at year end would result in “a significant tightening of fiscal policy” which would “probably lead to a recession early next year.” These changes will mean big problems in the student loan sector, too. Healthcare will play a role as well. Both of these will be drastically affected if the Bush tax cuts expire and now, Republicans are saying close to one million jobs will be lost if that happens. What is unsettling to some is what the analysts are agreeing on – which is rare. It’s not often so many agree on the same outcomes. There are plenty of conversations going on since last night. Tax increases are being used with adjectives like “significant” and “enormous”, debates over whether Dems and Pubs can finally come together to make strong choices for Americans, their futures, their healthcare and their credit and of course, international concerns. The middle class tax break that allows the $1,000 per child tax credit for each child age 17 and younger will be cut in half. The temporary reduction in the Social Security payroll tax will automatically expire. This means the average tax burden will increase by almost $3,500 per taxpayer, depending on the tax bracket. The Affordable Care Act (also known as ObamaCare) will, starting January 1, impose a massive $20 billion tax increase in 2013 on people with incomes above $200,000, ($250,000 for joint tax filers). Now, according to the Bipartisan Policy Center, it’s believed the government will hit its ability to borrow limit in early February. Dem Leader Harry Reid said he would support adding another $2.4 trillion to the massive $16 trillion debt, making it the largest in history. This is in spite of the Treasury Department attempting to put into place stopgap measures that would push that date back even further. Remember, too, that the Republicans were opposed to the raising the debt limit last year for this very reason. This soon resulted in a mess on Wall Street. The wild card in this scenario is no one is really sure what the House will do this time around with a second term for President Obama. This is a significant quagmire. Many may recall that President Obama had initially sought to add JPMorgan Chase CEO Jamie Dimon as his Treasury Secretary. This seemed like strange bedfellows, after all, it was President Obama’s efforts that resulted in tougher compliance laws for his bank. Eventually, though, he chose Tim Geithner. President Obama now has to replace him after Geithner announced his resignation. Could it be Dimon gets a second look? Dimon is vehemently opposed to the CARD Act that puts into place tough guidelines for credit card issuers and banks. It’s also important to mention that Secretary of State Hillary Clinton is calling it quits, too. She will have to be replaced going into the second term. And in what might be the biggest challenge, President Obama is going to have to get behind his Affordable Care Act in order to push it through. He will be appointing the members of the Independent Payment Advisory Board to help him. The foundation was designed, and some say rather quickly, in order to get it signed into law. The problem is – no one knows what’s in it and now they’re going to have to put some substance to it. He’ll have to act fast to get it jumpstarted, too. Republicans are meticulously questioning every aspect of the law and many say those supposed cuts in Medicare won’t happen. *The Dow dropped more than 300 points before the first day after the election was over. This has consumers even more concerned and analysts are afraid they’ll begin reining in spending even more.